George Gregory was born into a family of seven in a small village just outside of Bath to illiterate parents – his father a miner and his mother a religious housewife. His auto-biography, titled People > Ideas (or perhaps People and Ideas; the symbol in the middle is ambiguous), goes into great detail about his life, from his childhood in the mining village he was born in, all the way through to his (admittedly) brief stint of work for the Prudential Insurance Company. George’s life was filled with a variety of different occupations and it’s interesting to see the extent to which his education affected his social mobility. People > Ideas is a typed transcript coming to about 40,000 words and is complete with a contents page, splitting George’s life into manageable separate chunks, and illustrations/pictures. It is written in a clear and lucid style, despite the fact that it was not completed until George was well on his way to being 90 years old, and his memory is most impressive, allowing him to recall in detail the layout of the house he was born in – ‘The area upstairs was divided by a partition fitted with a door, which allowed four bedsteads to be put up, but there were two windows instead of one’ (1). His ability to remember his earlier life so precisely gives the first few chapters (mostly concerning childhood and early manual labour) a great deal of realism and allows the reader to really connect with his memories. 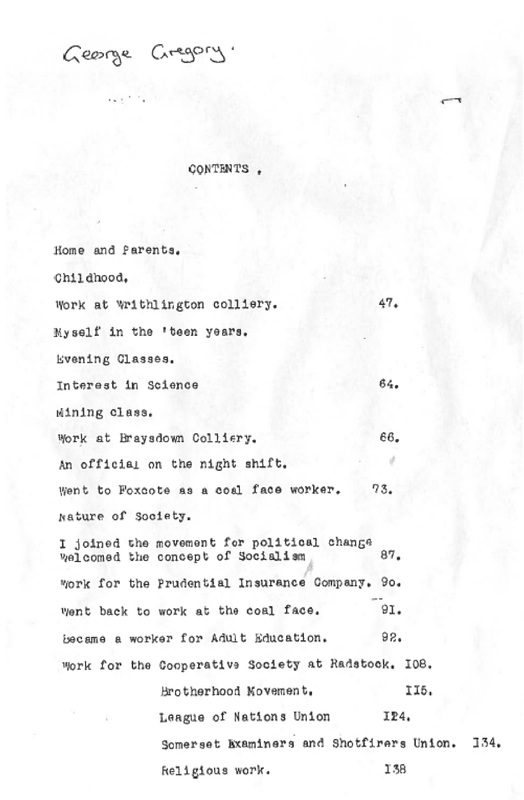 The contents page of Georges memoir. George was greatly interested in society, and in a way politics, and there are sociological and political digressions scattered throughout the latter half of his auto-biography. Mostly they concern the uprising of Socialism and George’s perceived problems with Capitalism. A lot of the content George writes is anecdotal and he displays his dry, almost deadpan, sense of humour often. There is a very matter of fact, truthful tone to his story which lends it a lot of its charm. I think it is very interesting to see, step by step, the route George took in life. He was obviously influenced heavily by his parents, demonstrated by his extensive work in mines and his religious participation/work, but he also manages to break some of the bonds of his class through education – both formal and recreational. His intelligence is evident in his writing as well as in his progression through the mining ranks and his involvement in various societies and unions. 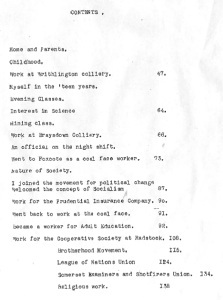 I think the conflict between his working class roots and his desire to learn and develop skills other than (and including) mining is one of the most interesting things about George. There are some particularly poignant parts in his auto-biography where we get a glimpse at the internal struggle he faces as he tries to stay true and loyal to his humble beginnings whilst also pursuing greater things. 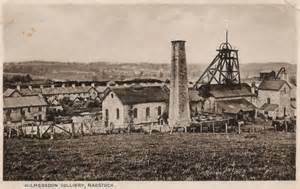 Kilmersdon Colliery, Radstock. An example of the type of location George would have worked at. Reading People > Ideas provides an array of information about late nineteenth and early twentieth century life. George gives us anecdotes from his childhood in a rural village, a wealth of description about mining – stemming from his long career beneath the earth, details about family relationships, and an insight into political views of the time period. Most importantly, however, George gives us the chance to view the world of the past through a normal, average person’s eyes; free from any real bias or intention.